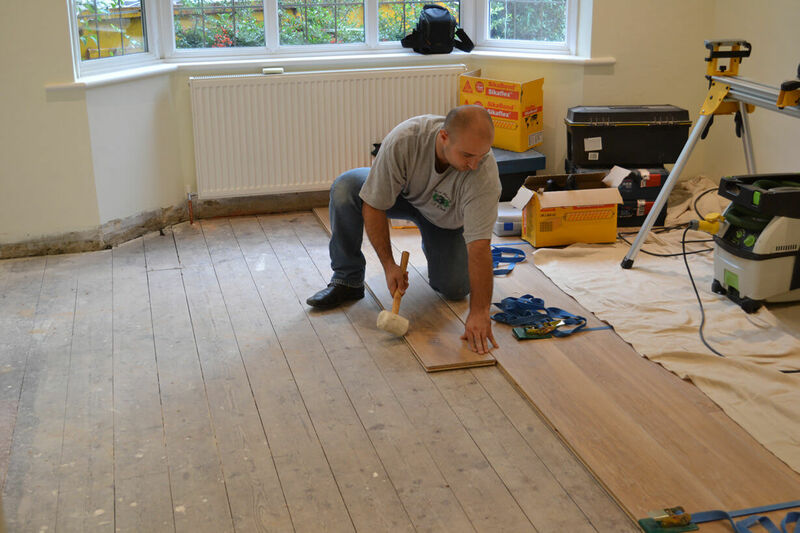 The new oak floor being laid is a “Natural Washed” finish on our 220 mm wide engineered wood flooring. 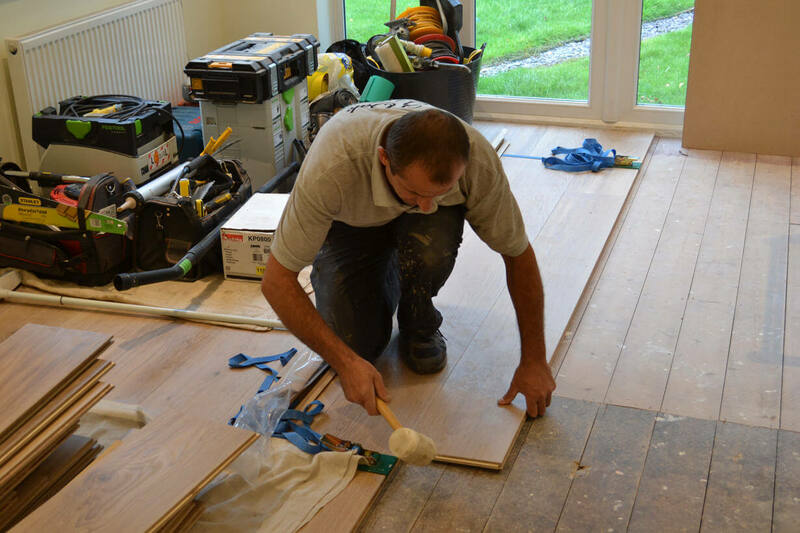 This kind of floor is available in lots of width boards, from 180 mm to 300 mm. 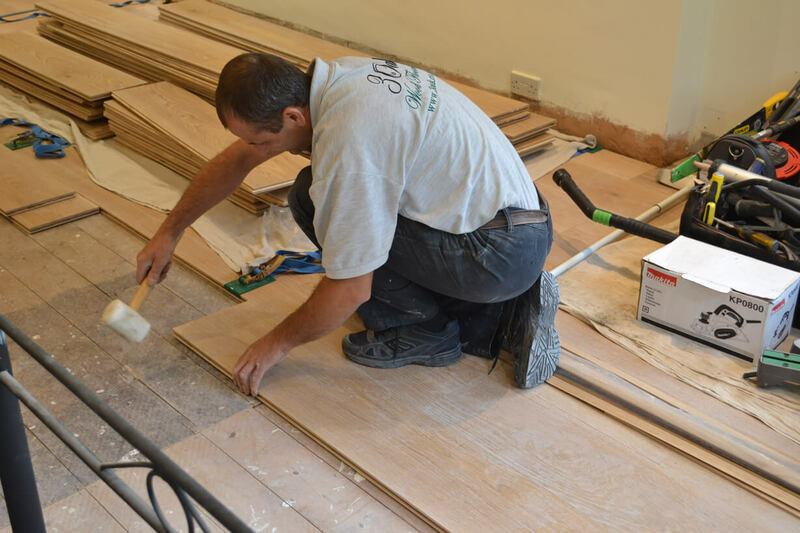 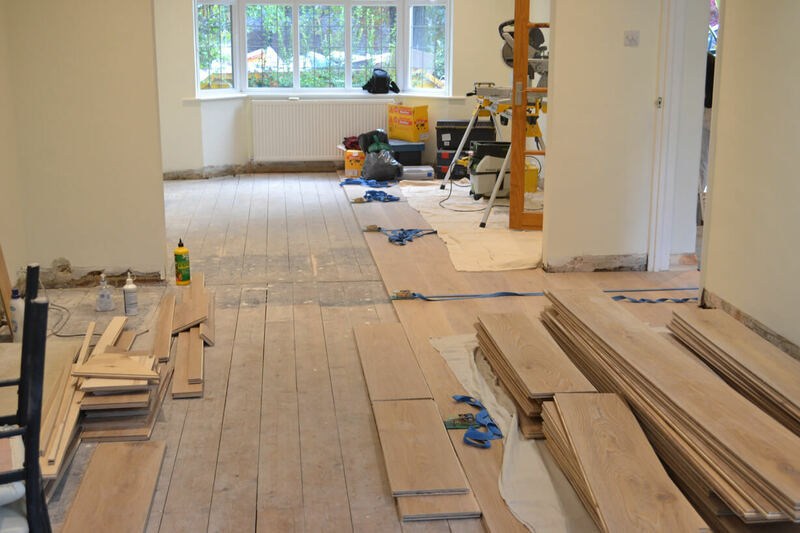 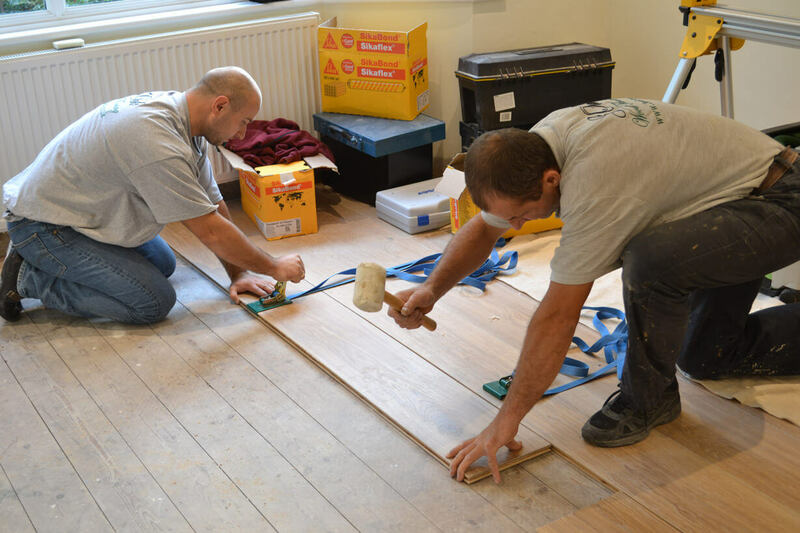 The existing pine floorboards provided a solid sub-floor and was also very flat, so we recommended that we use flexible adhesive to install the new flooring. 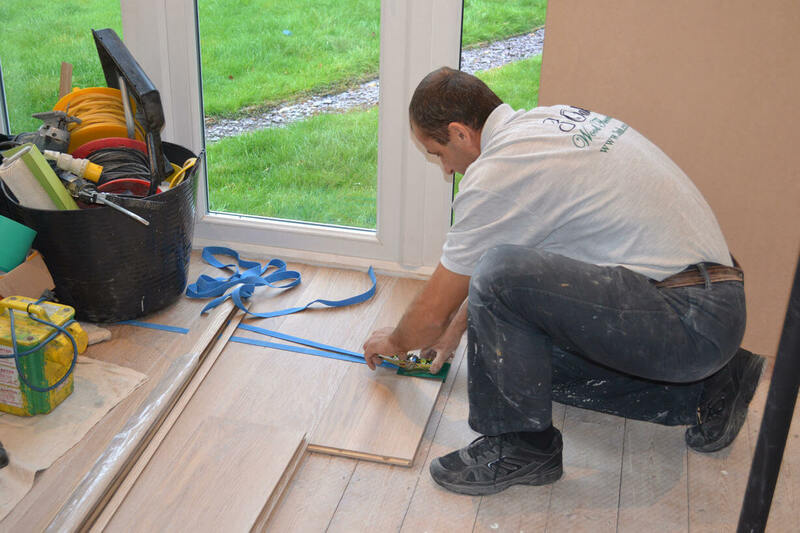 The flexible adhesive allows for the natural expansion and contraction of the wood and helps the floor remain free of creaky boards. 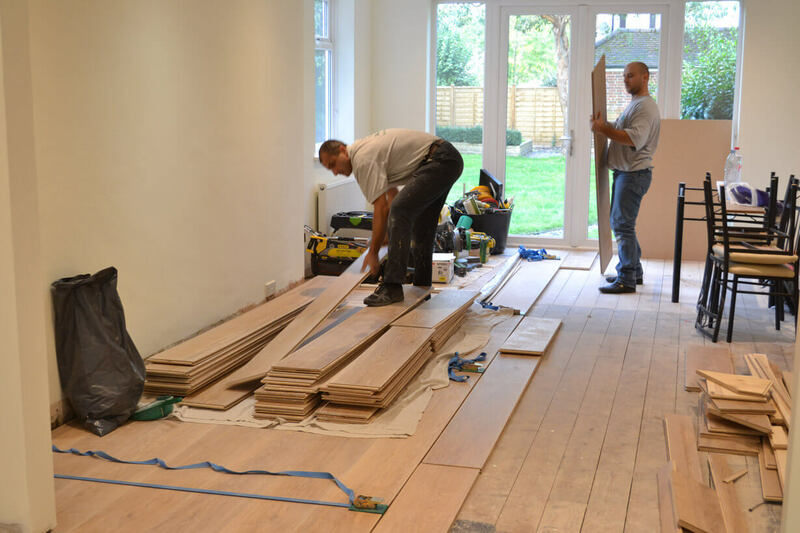 When fitting the new engineered wood flooring, we made sure to be sympathetic to the natural variations in the oak - like grain structure and colour. 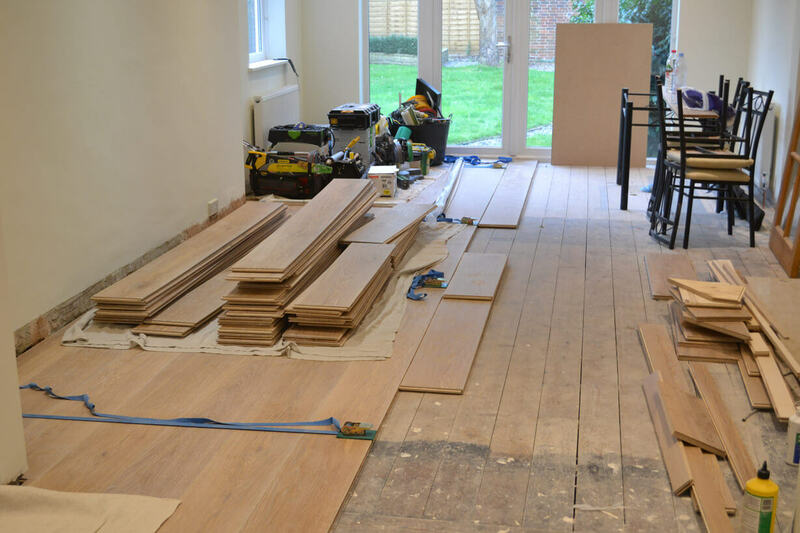 We positioned the boards on the floor before we glued them, allowing us to arrange them so that the finished floor is even in its colour and no boards that contrast too much are next to each other.